State water managers have ordered the city of San Francisco to stop taking water from the Tuolumne River, restricting some of the city's senior water rights. The orders are part of a larger effort by the state to limit water use from thousands of water rights holders, in order to manage dwindling supplies during the drought. It’s an historic moment for San Francisco, whose early water rights and exclusive water system has kept the city out of the water battles that have plagued most of the state. The city says it may choose to fight the cuts and take legal action, as other senior water rights holders have recently done. San Francisco's Hetch Hetchy system stretches more than 100 miles into the high Sierra Nevada, where pristine water is captured from the Tuolumne River in the Hetch Hetchy Reservoir, built inside Yosemite National Park. It serves more than a million residents in San Francisco and other water districts on the Peninsula and the South Bay. “We’ll be taking the appropriate action to protect our water rights." 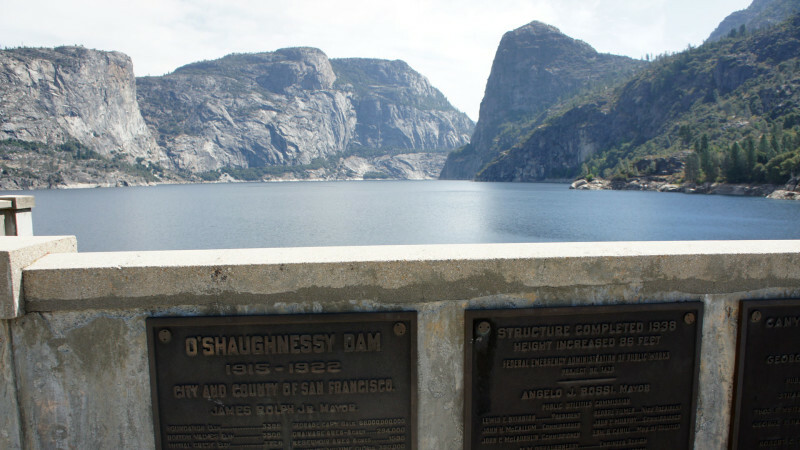 Hetch Hetchy water users aren’t expected to see any short term impacts, because the reservoir is fuller than most others in California, and the San Francisco Public Utilities Commission can continue to draw on that water. The SFPUC is still waiting to see the order from the State Water Resources Control Board to gauge the volume of water affected. Several lawsuits have already been filed by senior water rights holders who are challenging the state water board’s authority to cut their rights. Questions have been raised about whether the orders are actual “cease and desist” orders that must be followed, or are simply advisories. The city has several more water rights going back to 1901 that have not been curtailed, but could be in coming weeks. “As supplies continue to decline through the summer, it is expected that more senior rights will be impacted by limited water availability,” the State Water Resources Control Board said in its release. “We’ll be taking the appropriate action to protect our water rights,” Ritchie said.